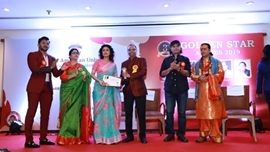 The prestigious 3rd NIER’s Golden Star Awards-2019 was organized on 30th March at The Classique Club, Andheri, Mumbai organized by ACS Media Corporation and powered by National Institute for Education & Research wherein distinguished personalities of various fields were awarded for their contribution to the society. The guest of Honour was Sh. Saawan Kumar Tak, Indian film director, producer and lyricist, Sh. 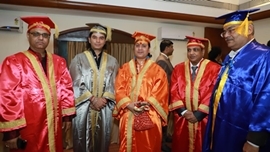 Mohit Chauhan, Famous Bollywood Singer, Sh. Terence Lewis, International Choreographer, Rakesh Bedi, Famous Indian Comedian, Sh. Sunil Pal, Famous Stand up Comedian. 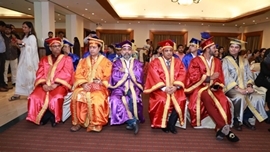 The famous personalities and some famous organizations who were awarded include Dr. A.K. Gupta, Dr. Masooma Ladiwala, Adharshila Play Way Convent School, Ms. Ragini Khanna, Ms. Shubhangi Atri, Ms. Aakanksha Sakharkar, Mr. Savio D’sa, Mr. Karan Anoop Khanna, Ms. Gunjan Saini etc. Shri Mukesh Kulshreshtha, IRS, was also present to illuminate the colourful event with his gracious presence. The event is organized by ACS Media Corporation and technical partner was Highbrow Systems. 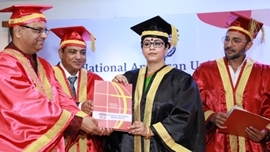 The award was powered by National Institute For Education & Research. 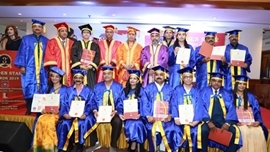 While addressing the media, Dr. Abhiram Kulshreshtha, Managing Director, ACS Media Corporation, said, “National Institute of Education & Research (NIER) believes in bringing forth the extreme efforts and excellence of entrepreneurs from different sectors into picture, and 3rd NIER’s Golden Star Awards-2019 is a part of this initiative only. Through these awards, we not only aim at motivating the entrepreneurs for better performance but also look forward at promoting PM Modi’s Start up India Mission by inspiring the youths of the nation with such great entrepreneurial examples. Haji Hyder Azam, Mumbai BJP vice president and chairman of Maulana Azad minorities financial development corporation Government of Maharashtra (Cabinet Minister) was also awarded by this unique award.